How pretty. What a neat find! I like how the cloud cover kind of creates sections in the sky. Very nice. Great shot David, the tire tracks make a great contrast against the flowers! 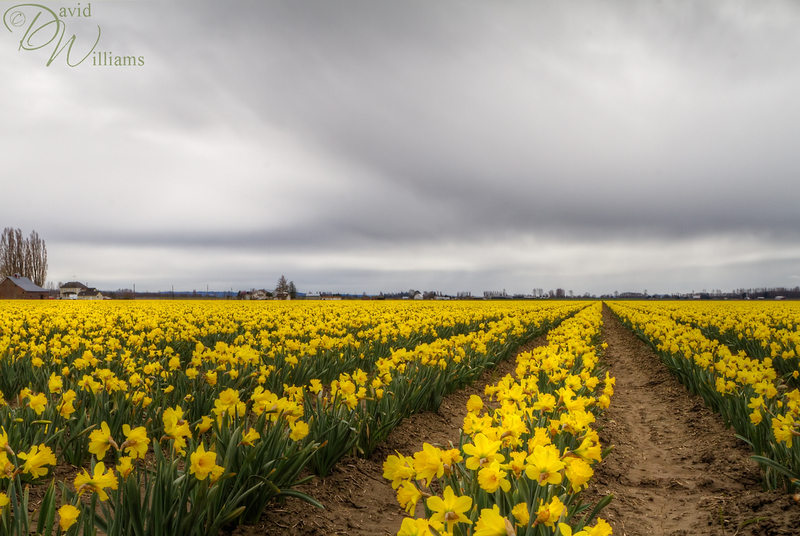 I like the vibrant yellow of the daffodils incredibly – and the grey sky only enhances that even more. What a fantastic photograph! It does look like a sea of yellow. Love the pillow looking clouds on this shot too. I like it – I think the contrast of the flowers against the sky works better with the clouds than it would on a sunny day.